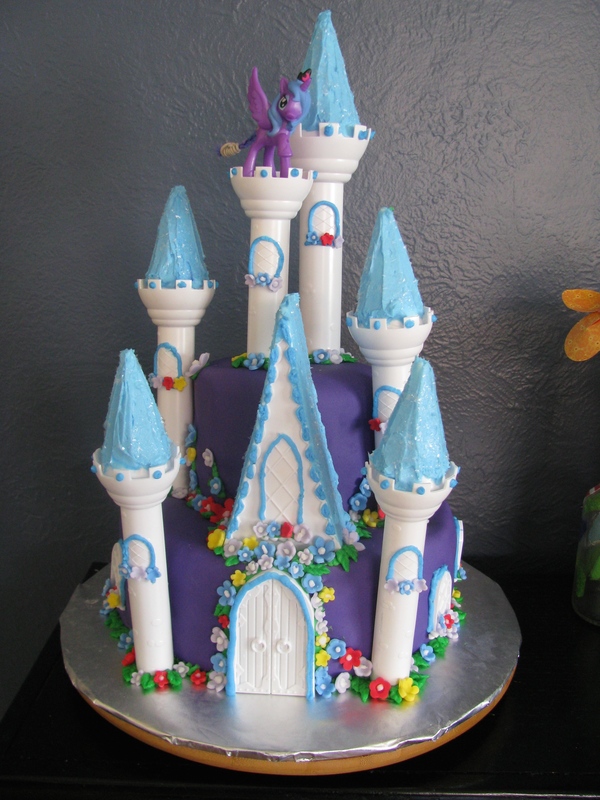 A Castle Fit for A….. Pony! 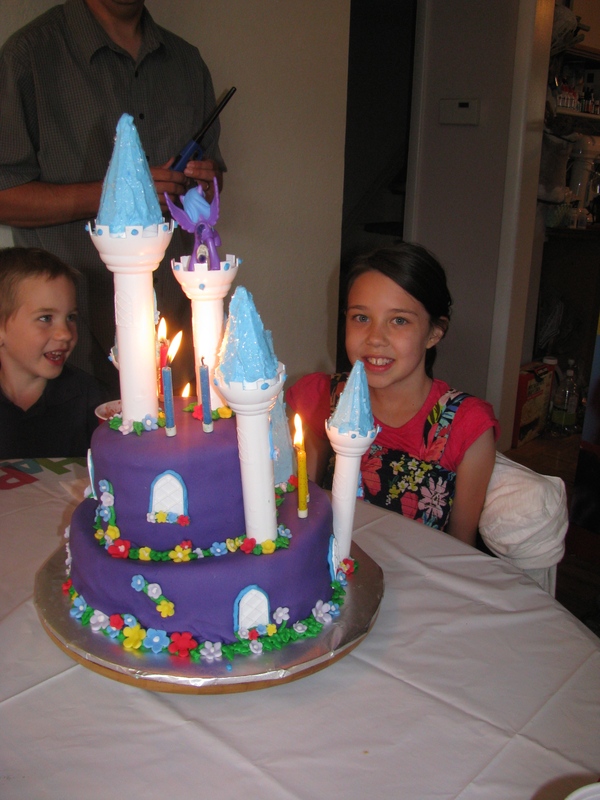 Today we celebrated Belle’s 9th birthday with family and friends. 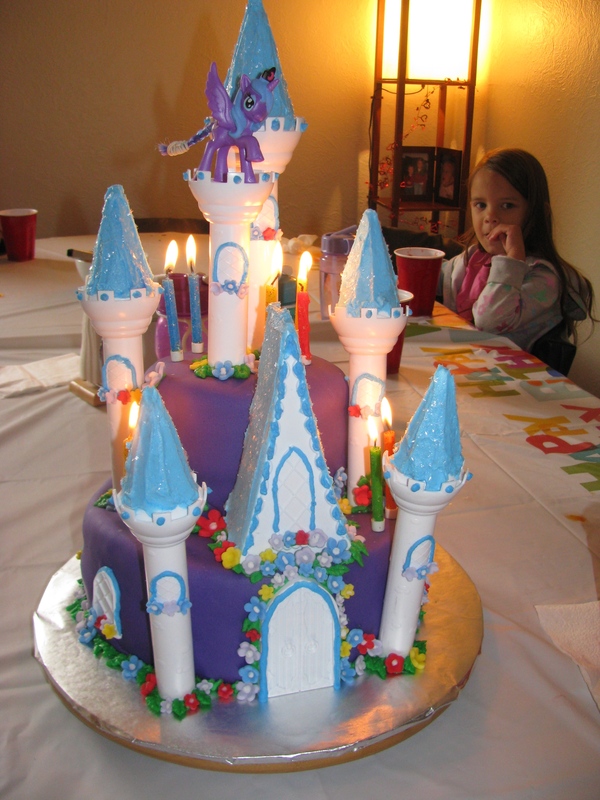 She asked for a castle cake! She made a drawing of her dream cake with all the little details right down to the colors of the flowers. After spending several hours baking, making frosting, rolling out fondant, cutting flowers, decorating towers, windows and doors I was finally done. And I didn’t forget to put her pony on the top of one of the towers 🙂 What do you think of her cake? Thank you to my husband who helped get the house ready for this birthday party… I couldn’t have pulled it off without you honey! And, thank you to all of the family and friends who joined us to celebrate this very special daughter of ours! 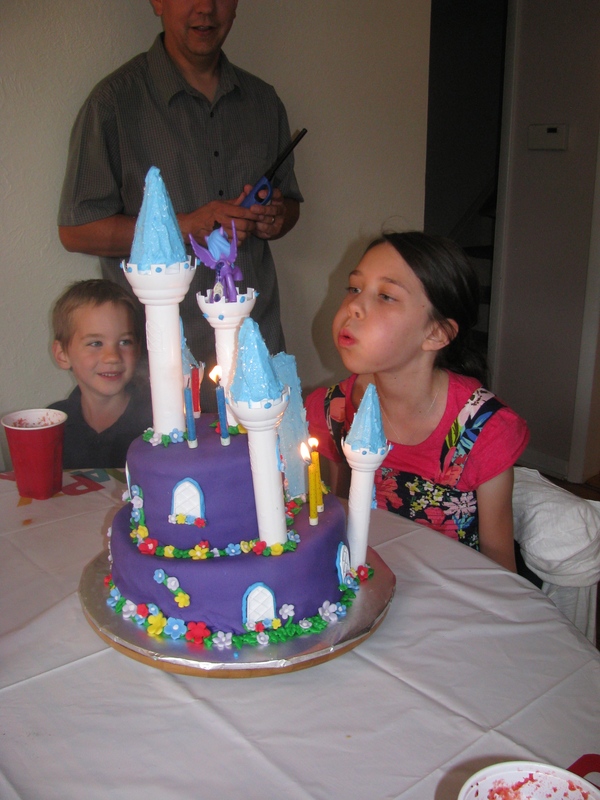 ← Belle is 9 years old today!!! Thanks Jodi! I enjoy it! We need to get together soon. I’ll look for some times and send you a message! That’s a really cool birthday cake design.